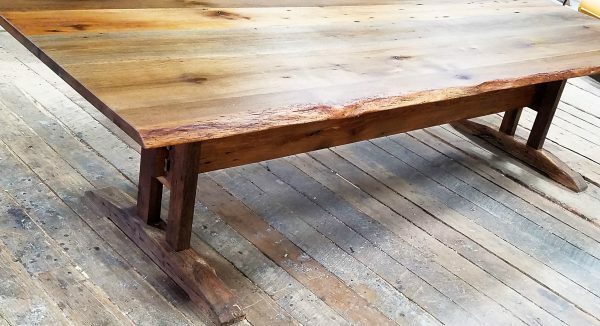 Made using our reclaimed oak barn wood, this table is perfect trestel dining table for any home. We offer the Marson trestle dining table in 8 different sizes and three different oil colored finishes: natural, chocolate and charcoal. All tables are made custom and can be ready in about 4-6 weeks. Please come to to the store today and order yours today.